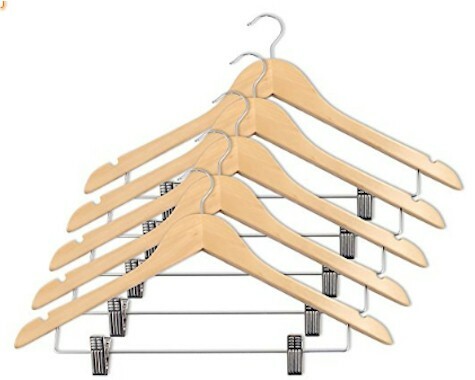 UPDATE: Amazon has got this set of five Closet Complete solid, lacquered, hardwood skirt/suit hangers for only $3.39, the lowest recorded Amazon price on this set (works out to 68 cents per wooden hanger). These hangers got 4.2 out of 5 stars over 54 customer reviews. No quantity limits.